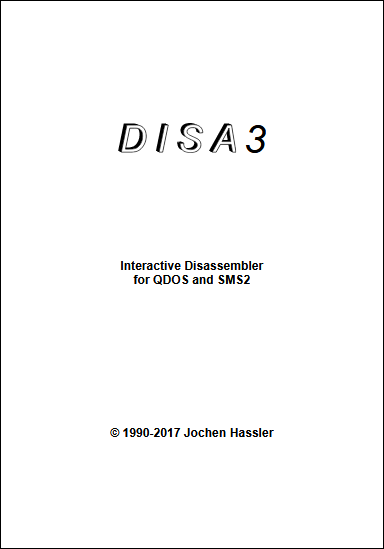 In a previous issue we reported on the fact that DISA3 disassembler had now been freely released, but bemoaned the fact that no manual was available. Now I am happy to be able to report that thanks to Dave Westbury (who provided a scanned copy) and Marcel Kilgus, one is finally available. This entry was posted in News and tagged DISA 3 on 28/04/2017 by Dilwyn.